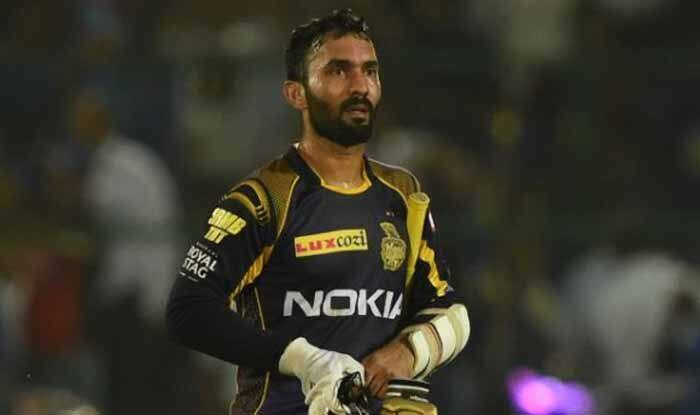 Kolkata Knight Riders skipper Dinesh Karthik rued that his side fell short by 10-20 runs and also failed to bowl well after they slumped to a seven-wicket loss to Delhi Capitals in an IPL match here. KKR faced their second successive defeat against Delhi Capitals despite Andre Russell’s explosive innings of 21-ball 45 in Kolkata on Friday night. Delhi did well to remove the Windies power hitter in the penultimate over and KKR set a 179-run target. “We knew that we needed to get a big total but we ended up getting probably 10-15 runs short. Eden has been one place where the wicket is so true and the outfield is so fast, the boundaries come easily. So here you have to get a score which is about 5-10 runs more than par on other grounds,” Karthik said at the post-match news conference. Karthik also blamed his bowlers, saying they could have done a bit better in the absence of Sunil Narine, who was down with a hamstring issue. “We were definitely not a bowler short for sure. We had more options like Carlos (Brathwaite). We were a few runs short and could have bowled a little better. I expected our bowlers to perform better but that did not turn out to be. Such things happen in a game of cricket.” Karthik said Narine’s absence made a huge difference. “Sunil brings in a bit of batting and bowling. Most of all, he’s experienced with a cool head that always helps. It really makes a difference. Narine has been someone who’s given us a good start whenever he’s got an opportunity.” In Narine’s absence, Shubman Gill was promoted to open the innings and the 19-year-old talented youngster responded with a 39-ball 65. There has been a lot of talk about Ganguly’s dual role as IPL franchise Delhi Capitals advisor while serving as the president of Cricket Association of Bengal with few of his detractors claiming that he would have ‘a say’ in making of the greenish pitch. But Karthik said the wicket was no different from their previous two matches against Sunrisers Hyderabad and Kings XI Punjab this season. “It was pretty similar. I don’t think there’s too much of a difference. It is a very good pitch. I don’t know if they read the pitch better. Obviously both the teams read the pitch normally. There was nothing different we could have done,” said Karthik. On Sunday, KKR will be up against table toppers and defending champions Chennai Super Kings, who had restricted them to a paltry 108/9 before cruising to a seven-wicket win in the first leg. “Obviously it’s a big game. They’re a good team. Two good teams playing against each other will be a good game. That’s the beauty of IPL you win two on the trot and you lose two out of two. These things happen. It’s about how balanced you can stay as a team,” Karthik said. The home team is hit by a bout of flu with their opener Chris Lynn missing out of action against Delhi, while Karthik said he too is down with the virus. “I’m also down with a bit of a fever and flu. I’ve also not felt well since yesterday,” the KKR skipper said.